Whether or not it's based on an accurate design, at least one third-party case manufacturer is already producing a product assuming Apple's upcoming "iPhone 7" will indeed ditch the legacy 3.5-millimeter headphone jack. 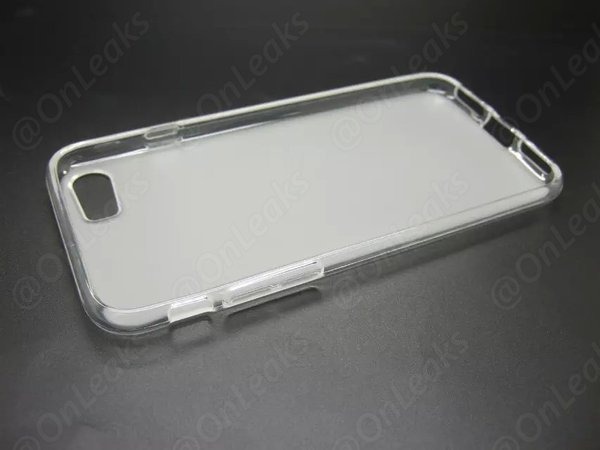 Images of the case allegedly designed for Apple's next-generation iPhone were first shared by OnLeaks. 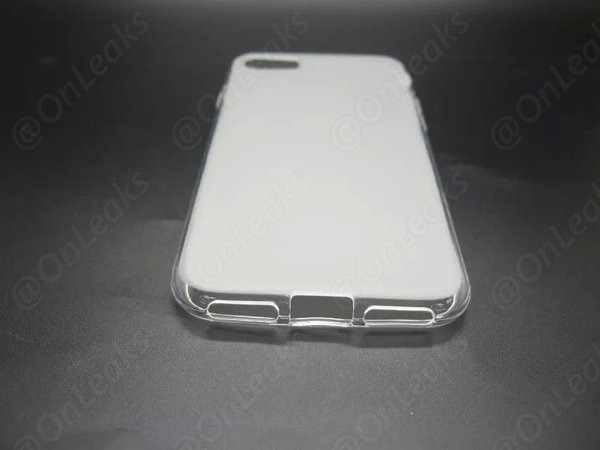 The bottom of the case features two identically-sized cutouts, presumably for a dual-speaker design, which has been rumored to take the place of the headphone jack. The design of the rest of the case is largely as expected. The speaker cutouts are to the left and right of another opening presumably for Apple's Lightning port. The case once again places the ring/silent switch and volume controls on the left side, with the lock button on the right side. And when viewed from the back, the camera cutout is on the upper left side, though it appears to feature a slightly larger opening than is typical, potentially signaling the next iPhone could feature a larger rear lens —or two lenses. If Apple does in fact ditch the headphone jack, it's expected to include a new pair of Lightning-connected EarPods in the box with the "iPhone 7." Apple is also rumored to be working on a new set of wireless earbuds— truly wireless with separate left and right earpieces —that would be sold separately from the new iPhone. The "iPhone 7" is expected to be announced in Apple's usual September timeframe, in time for its annual fall launch. The new design is expected to eliminate the rear camera bump found on the iPhone 6 and iPhone 6s series, as well as the antenna lines on the metal case.